Wedbush Securities analyst Michael Pachter has once again turned his attention to Nintendo, discussing the company within the latest episode of his weekly Pach Attack show. He shared his thoughts having been posed the question as to why Nintendo have only chosen to release the Wii Mini only across Canada, but also alongside the Wii U.
Pachter then seized the opportunity to explain that the company’s pursuit for quality ultimately means everything arrives far later than it should do. “I just think Nintendo’s a few years late,” Pachter expressed. “So, the Wii U is the Wii HD, it’s coming three years too late. The Wii Mini was a great idea back in 2008/2009, they probably should have brought it out then – they’re way too late. “Poor Nintendo, I think they try way too hard to get things right and it takes a long time. The eShop is seven or eight years too late, online multiplayer for Nintendo is seven or eight years too late. Ouch. Do you agree with his remarks? Pachter previously commented that no one would support the Wii U, Nintendo’s global president Satoru Iwata recently stating that the console was “selling steadily” at retail. yes I agree but at least Nintendo still makes some good gameplay and have the cash cow that is Pokemon. So they are doing everything too late? So what should they do? Not do anything? Pachter really needs to shut the hell up! Pachter is one of the biggest and best analysts in the video game industry. I think YOU really need to shut the hell up. Pachter is easily the biggest analysts in the industry, but there really isn’t any competition there, kind of winning Tallest Midget contest. That being said, he is just as good as any other Analyst and if you ask me I don’t think he has the industry understanding that people give him credit for. For one he constantly compares COD and World of Warcraft. Seemingly not understanding why people pay a monthly fee for WOW and not COD. He makes some great points here about Nintendo, IMHO their life in the hardware space is numbered. They are an accessory / software company. Pachter still can’t get over being totally wrong about Wii HD? Shocker. I’m sure he’s quite good at his actual job, but in public the guy’s a clown… a very well paid clown. Then again, he did lose investors a lot of money telling them to bet on PS3 at the start of this gen, so maybe not. I think Pachter speaks from an investment perspective not a gaming perspective. The two perspectives are not always compatible. Pachter is an idiot! I’m not an analyst and I know that software sells hardware. Nintendo is not late, they do everything differently than Xbox and PlayStation… just like Apple ! People will always follow Nintendo because they do not rush the latest technologies but recycle what is already on the market so the consumer can be confortable. Nintendo is an entertainment business! I didn’t think the question I asked Pachter would cause such a stir on n4g. Though I did ask the question like 2 months ago. They are? Duh! Haha! Everyone knew the Wii was a slightly more powerful Gamecube with no HD and few online games. That didn’t matter though. They managed to take over the industry with a fascinating gimmick. Personally I think motion control has seen it’s best days. It came and went. Now it’s that silly oddity we all laugh at while still using Gamepads for the majority of games we play. Anyway, the Wii appeared at the right time and basically won this gen in terms of numbers. I don’t know about relevance though. Wii ran out of steam. While 360 and PS3 kept going strong and games like Call of Duty and Mass Effect made lasting impacts this generation. Nintendo is trying to do it again, but again they’re gonna be left behind when 720 and PS4 come out. The Wii U isn’t exactly setting the industry on fire at the moment, but it doesn’t matter though. Nintendo will release Wii U Mario & Zelda game and they’ll flock to the Wii U. On the other hand, judging from the Launch. It looks like Wii U will be the new Gamecube this gen. A good system with great games, but it could never quite make it to the top. 3 years too late for the Wii U??!! Pachter is stupid. If it came out 3 years ago, he would have said it was too early. Google all his stupidity. If I made 100 predictions a day, I could get two right also. He is just trying to manipulate stock value before the earnings release. He is right. They are late. 2009 or 2010 would have been a great WiiHD release. And no, the console is NOT selling well. The Wii was selling out at release. The WiiU was on shelves Chrismas Eve. They will drop the price soon just like they did with the failing 3DS to give it a jump start. Well said Pachter, too obvious. 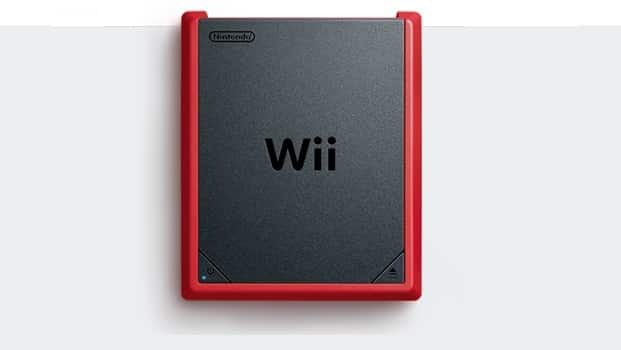 * Nintendo had the chance to release Wii Mini when they ignore the core fans and the Wii lacked core games so much! * HD old stuff… Wii U is not even 4K compatible. * Nothing about Wii U holds future proof peripheral, it doesn’t even supports USB 3. Yet people are planning $400 for the bloody console, the only unique thing about it is the controller.